Around 300 people attended a community event at the Memorial Art Gallery as the United Way of Greater Rochester launched its 2019 campaign, and commemorated its 100th anniversary in 2018. ``We were able to leverage more than $30,000,000 dollars. 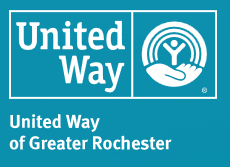 That is a tremendous feat, and is only made possible by all the individuals in our community stepping up," said Jaime Saunders, President and CEO of United Way of Greater Rochester. She says the workplace campaign remains the lifeblood of the organization, raising funds to meet the needs of this community. In 2018, the United Way went from a four-month long workforce campaign to a year round operation. The 2019 campaign is all about having a "heart to heart" with the community. ``It's about 'Dear Rochester.' That is the theme and it's a love letter, it's a hard conversation about what we're seeing in terms of the challenges in front of us. And while the country and the world might seem quite divided, what we see at United Way are people wanting meaningful connections, and to work together for positive outcomes. So we are extraordinarily excited about our community coming together to really make a tremendous difference," she said. Saunders says developer Andy Gallina and his family will lead the 2019 campaign. It's the first time a family will serve as a United Way campaign chair. Gallina says his family is honored to take on this role, and with and through United Way, they can make the most significant impact as a family, a company and a community.